Water sports enthusiasts, ahoy!!! 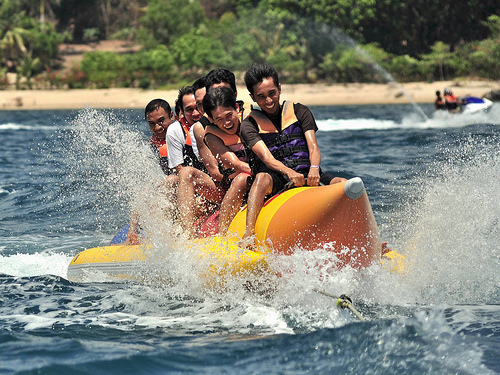 Here are the top 12 water sports destinations for 2012. Spring and summer are not far away at these destinations so just grab your summer gear, book your trip now and head out to beautiful sun, blue waves, clear waters and that incredible rush of adrenaline. Whether it’s scuba diving, speed boating, surfing, parasailing, Australia is guaranteed to kick your adrenaline into high gear. If it’s snorkeling you want, head to the Cape Byron Marine Park with its blue sea turtles and groupers. Water skiers, Gippsland Lakes awaits you with its Rip Curl Pro contest where surfers are guaranteed the biggest pipes they ever saw. Other great places are Ninety Mile Beach and the Murray River. On the Indian Ocean, Lakshadweep is fast becoming the water sports adventurer’s favorite haunt. Here you can go snorkeling, deep sea fishing, speed boating, wind surfing, kayaking, glass bottom boat sailing, lagoon fishing, water scooter riding and banana boating to your heart’s desire. The best locations are Agatti Island and the Bangaram Island of the Lakshadweep Islands. Lakshadweep islands are famous for coral reefs, lovely beaches and clear waters. Another water sports gem on the Indian Ocean is Mauritius, with prevailing winds all through the year it is an absolute surfer’s paradise. Crystal clear water, blue lagoons, exciting coral reefs and great summer weather all contribute to make this a fantastic destination. 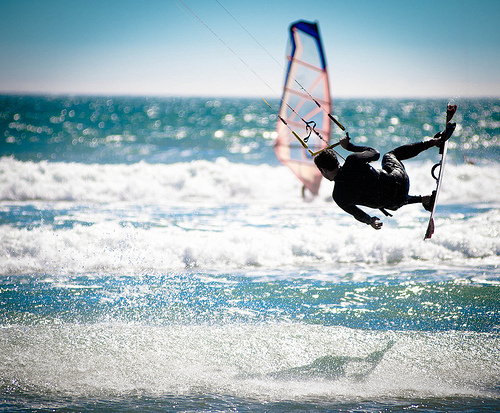 Coastal hotels offer all the water sports you can enjoy, along with equipment and coaching, sometimes for free. Get ready for deep sea diving, boating, snorkeling, deep-sea fishing (feel like some tunas, sail fish, bonitos, and sharks, blue and black marlins?). Sri Lanka’s waters are warm and comfortable at a cozy 80°F (27°C); this encourages large numbers of people spend all hours of the day in the ocean, surfing, diving and snorkeling. The inland waters are calmer, creating a safe environment for windsurfing, dinghy sailing, jet and water skiing. Due to visibility and storm conditions, it’s best to hit the East Coast between April to September and the South and West Coasts between November to April. The entire bay of Acapulco is lined with beaches, such as the Playa Diamante and Playa Revolcadero. Acapulco is great for surfers because of the size of the waves. The Playa Puerto Marque and the Playa Icacos are famous for boating, fishing, banana and glass bottom boating, parasailing, scuba diving, sports fishing, wave running and much more. Aruba’s constant trade winds make this island a fabulous destination for windsurfing and kite surfing lovers. 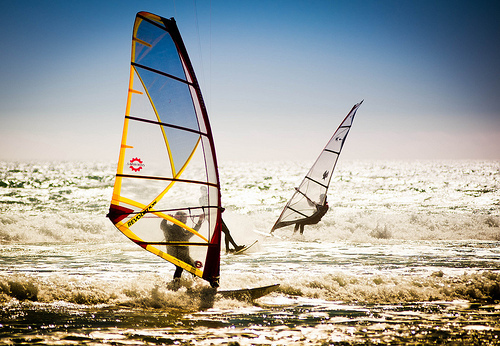 Aruba hosts the annual Hi-Winds Windsurfing Pro-Am Grand Prix World Cup event each year. Snorkeling and scuba diving in Aruba are a treat, with the variety of multi-hued tropical fish, colorful reefs and clear waters. 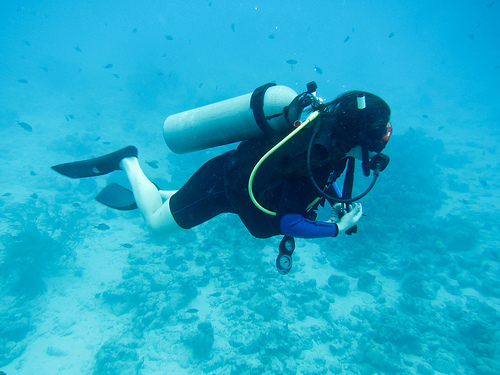 Waters are warm, at 78°F and visibility is at 90 feet. With year around warm temperatures of 80 degrees Fahrenheit, no wonder the Bahamas is so popular. Whether you’re into kite-boarding, kayaking, surfing, wave-running, shark encounters or wild dolphin excursions, head to the Bahamas. There are more than 700 islands, with 1,000 plus dive sites, plus bottomless blue holes, historic wrecks and amazing underwater marine life. 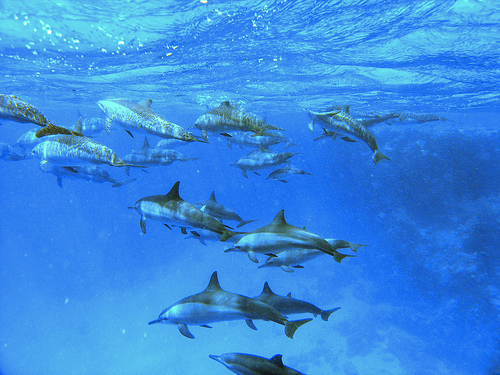 Bermuda has many underwater caves, which host an amazing marine ecosystem. Bermuda, in inshore waters like the Castle Harbor, Hamilton Harbor and Great Sound, you’ll find many little beaches, grottos, islets and coves, a true paradise if you’re into boating, sailing, swimming, snorkeling, surfing or what have you. Medano Beach in Cabo San Lucas is the most popular destination for water sports lovers. You’ll find them all here – jet skiers, wave runners, parasailers, water skiers, kayakers, boaters, boogie boarders, snorkelers and so on. The Sea of Cortez, the earth’s youngest sea is a treasure trove of unique species of vertebrates and invertebrates, great for snorkelers and divers. In Jamaica, you can enjoy quality water sports in different regions such as Montego Bay, Negril, Ocho Rios and Port Antonio. If you’re into big boat deep sea fishing, you’ll be interested to learn that Jamaica hosts the Jamaica International Blue Marlin Team Tournament and the International Fishing Tournament each year. That says it all. Bottom fishing is another specialty here. You can also jet ski, parasail, scuba dive, snorkel and others. The Hawaiian climate is warm throughout the year, with ocean temperatures ranging between 81 deg to 76 Deg Fahrenheit. It’s an ideal location to enjoy surfing, body boarding, snorkeling, kayaking, scuba diving and parasailing. Kailua in Oahu and Maui is the best Kayaking spot, while several locations in Kauai are fabulous for scuba diving. Puerto Rico’s exceptional climate, unique landscaping, calm waters and miles and miles of beaches make this a popular water sports destination. You can either enjoy all kinds of water sports solo, or take one of the tour packages and combine jet skiing with snorkeling, boating and fishing for an overall experience of Puerto Rico’s amazing waters. This entry was posted in Asia, Australia, Hawaii, Scuba Diving, South America, Surfing, The Caribbean, Travel, United States, Water Sports, Wind Surfing and tagged travel, water sports. Bookmark the permalink.